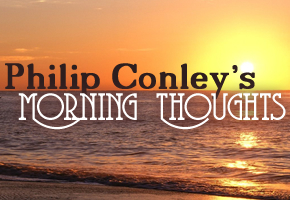 This morning, we normally attach positive or negative connotations to things based on their most common occurrence. Addiction is a word that generally brings negative situations to mind as we see them most frequently. Culture in our day is plagued with various drug addictions, and the entertainment industry perpetuates itself by addicting its audiences in such a way to feel like they keep needing a “fix.” However, addiction is something that if properly focused can actually provide a good structure for things that the disciple of the Lamb should employ. Obviously, the addiction cannot be fixated on things seen and temporal but rather on things unseen and eternal. (II Corinthians 4:17-18) When we give ourselves over in such a way to the things of God, the circumstances of life will make less of an impression on us. In our study verse, the apostle is in the midst of some very involved charges to his young son in the ministry. Paul tells Timothy that many things in his life will make him an example of the believers (Verse 12), and that profiting himself in this way will yield lasting fruit that touches on the promises made by Almighty God. (Verse 8) Our verse uses an interesting expression that we would like to consider, and Paul follows that expression with a specific order of operation. The phrase “give attendance” has many connotations, and some of those connotations include “cleave,” “hold fast,” and “be addicted to.” Paul literally told his young charge to be addicted to reading, exhortation, and doctrine. The power behind the expression’s connotation of addiction means that Timothy would put these things first and foremost in his life. When we see someone addled with drug addiction, they are willing to sacrifice their livelihood, family, or anything else to feed their addiction. Sadly, we see these wrecked souls wavering over the cliff of life’s abyss and can feel powerless to help them. While the Bible does not condone neglecting our families or the honorable causes of life such as employment and livelihood, we are commanded to put Him and His kingdom first and foremost in our lives. (Matthew 6:33) How many times do we actually do this, or do we – as I recently heard preached – give God our leftovers? When God and His heavenly things become the focal point of our lives, the other necessary things will all be added in their proper place and function. Therefore, Paul encouraged the young minister to be addicted to these things. It bears mentioning here that even though this command is to a minister, it is not confined to him. As the previous verse states, Timothy was to be an example “of” the believers. Though the minister should live in such a way to be an example “to” the believers, that is not Paul’s point. His point is rather more broad. When Timothy fulfilled his charge and command, he would actually be an example of what a believer should look and act like. In other words, “Timothy, when you do these things, you will look like a believer should.” Therefore, what is good for him is good for all who name the name of Christ and attempt to follow after Him in newness of life. What Timothy was to be addicted to – and us too – follows a specific order. Many times we see lists in the Bible and do not consider that the order of the listing plays prominent significance. As Paul would tell the same minister in another epistle, Scripture is profitable for doctrine, reproof, correction, and instruction in righteousness. (II Timothy 3:16-17) Is that order important? I heard a rather succinct way of describing that list, “Doctrine tells you what is right. Reproof tells you what is not right. Correction tells you how to get back right. Instruction in righteousness tells you how to stay right.” In that light, the order makes perfect sense. In my humble opinion, the order here bears similar importance. Reading should precede exhortation, and exhortation should precede doctrine. When we consider the doctrine of what we believe about God and His dealings, why do we believe what we believe? Is it because our parents believed it? Is it because “our church” believes it? Is it because my spouse believes it? What should be the reason we believe it? The starting point must always be “thus saith the Lord.” Anything less than that is a shaky foundation that will not stand up to the ravages of our sin-cursed lives. To know what He says, we have to read His Book. One of the truly amazing things to me about this Book is that it is only a subset of all there is. John told us at the end of his gospel account that if everything was written just about Christ’s 33.5 years on earth, the world could not contain the books that should be written. If the world cannot hold the works necessary to describe those 33.5 years, how much more God’s dealings with this world from the beginning as well as declarations of His work before the world began? Just as we should be given and addicted to reading the word of God, we should likewise also give adherence to exhortation. Though this word can be used in a wide variety of applications, the word here most often denotes a consolation through summons. Could anything more clearly sum up the gospel of Jesus Christ? It is a summons that brings encouragement and consolation to the sin-sick soul. Nothing in life better energizes and re-charges the disciple about just how much the Lord loves us to pick us up and get back out in the warfare of life. These seasons of fellowship with the Lord through His Spirit revive and cheer the soul, and they also teach us what is right. The doctrine that we preach is not of our own conjuring. We believe, preach, and adhere to those things most surely believed among us that have been handed down generation after generation all the way from the time and hands of Jesus Himself. This doctrine brings cheer and encouragement, and it is plainly declared in the pages of God’s holy word. The order of these words is clearly seen through one leading to the other. If I believe what I believe for any other reason than the Lord said it, then I am believing something misguidedly. Though what I believe may still be right, I do not know why it is right. The Bereans of Acts 17 were called “more noble” because they took what they were told and strained it through the Scriptures. Ministers should always be careful to clearly distinguish between their opinion and the gospel truth. There are many things that “I think” that I cannot adamantly prove. However, if the Bible plainly declares it, I should adamantly stand on it. When someone asks what I believe about something, I should say that I believe it because the Bible said it. When someone asks why I preach what I preach, I should say that I preach it because the Bible said it.